The flats were purpose built in the late 1940s in an art deco style, at a time when all flats still had coal-burning stoves for cooking and heating, and shared spaces in the basement (designed as bomb shelters we believe). Our bathrooms are tiny, designed at a time when even having an indoor bathroom was rare, and our kitchens were not designed to accommodate any mod cons, but we are very lucky in many other ways. All flats either have a decent sized balcony, or a garden, we have an awful lot of communal green space and we have a diverse mix of residents, trying to find their place in this crazy world we live in, with many actively involved in community-building initiatives and other endeavours to make the world a better place. The demographic of our estate is quite unusual for inner city council estates in general, partly due to the housing policies of first the council and then our housing association, and partly to do with the history of the wider neighbourhood. 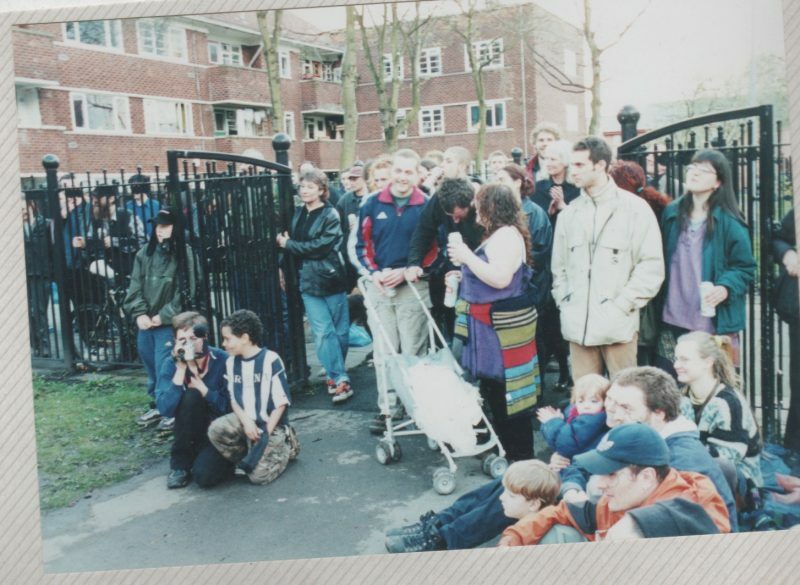 In the 1990s during the redevelopment of Hulme, many families moved out into the new houses, and the flats became difficult to let. Many ex-squatters who had previously lived in the old Hulme of the Crescents or Otterburn Close, were offered flats on our estate. This coincided with an influx of other alternative young people who were interested in environmental, social and importantly, community action. A community of active people emerged from this mixture, involving long term and new residents and ideas about sustainability and community action flourished. These ideas about creating community from the grassroots, doing it ourselves, thinking about our impact on the environment, trying to be more sustainable, are more commonplace now, but at the time were quite radical. Indeed, ‘the Redbricks’, as our estate became known, grew to be an inspirational place to live, as well as sometimes a bit of a thorn in the council’s side. The reality and the will behind the housing association’s allocations policy has resulted in a much more diverse mix of residents, with more families, and a range of ethnic backgrounds and ages. 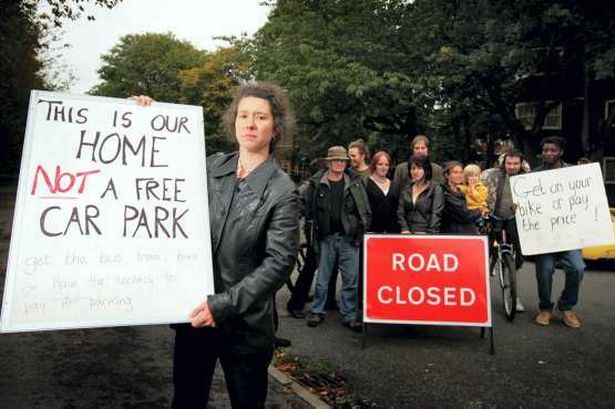 Many estate residents have been involved in campaigning against the destruction of the environment both beyond Hulme and Manchester, and also to save some of Hulme’s remaining green spaces. 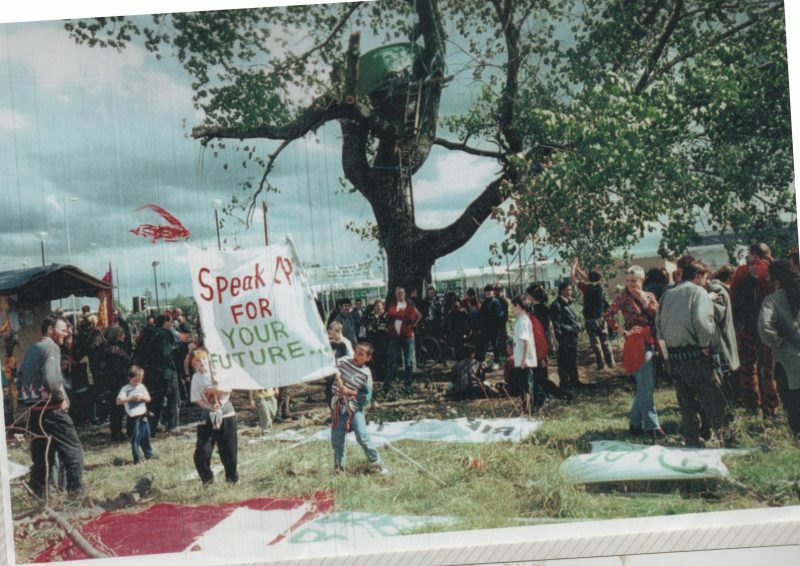 The protest to stop the Birley Tree being chopped down to make way for a hotel, was not only about that particular tree, but about the lack of local democracy and community space. It was about saying to the council that natural landmarks, like the 100 year old tree, meant a lot to local people, and the planners and developers could not ride roughshod over us. 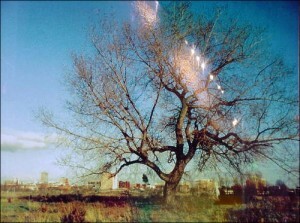 The tree wasn’t saved, but neither was the hotel built there, relocating in the face of a persistent campaign. More local to us, residents achieved a victory when we protested against the plans to turn the green outside the neighbouring nursery (then called The Grants Arms, and later the A Fe We pub) into a crossroads. Despite the council arguing that the bend was dangerous and a crossroads had to be made, local people realised that a crossroads would free up more land for Bellway Homes, and fought a successful campaign. Again, the council failed to recognise that this small area of green space was precious to people who used it. People on our estate were cross when they discovered that the new park that was to be built, meant that we lost our old play park. A campaign to save Leroy and James memorial park (known locally as the Spider Park), built to the memory of two local boys who lost their lives playing by the canal, was mounted but failed to convince the council that new green spaces shouldn’t require the loss of old well-loved and well-used communal areas. The former green spaces between Stretford Road and Bonsall Street were similarly the focus of community action days over many years. Both have since been built on. 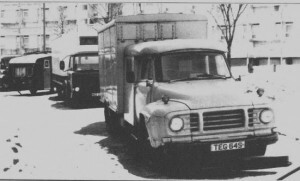 Residents have also been involved in campaigns to save the local Chevassut School, to campaign for local allotments, to campaign for local workspaces and against the forced relocation of such initiatives as the Wesley Community Furniture Project when the old PSV club was demolished. Since the late 1990s, a restarted Tenants and Residents Association – initially called The Forgotten Corner – has supported people in individual cases, produced newsletters and estate guides and has been instrumental in organising many community initiatives. They welcome all residents that are struggling with problems to come along to seek support, and new members to help organise and advocate. In 1998 a pioneering initiative began to share an internet connection between as many residents as possible, achieved by putting cables through service ducts and shooting them with a bow-and-arrow across roads and rooftops. This was in the very early days of internet, never mind Local Area Networks in residential areas, and volunteers helped people get cheap computers, learn how to do things online and more. This was mostly achieved with no funding and in the face of disgruntled local councillors. Finally with the change in ownership of the estate, a rewire was done in partnership with the housing association and the network has become bigger and more reliable. Find out more, or get online on RIC’s website. The former bomb-shelters/communal laundry that is our cellars are now completely unused, but in the early 2000s, residents appropriated the space for themselves, and a thriving social space came into existence. Primarily the space was used as a cinema, showing free films for children on a Saturday afternoon, and grown-ups in the evening. There was even a foreign language film on a Wednesday evening. 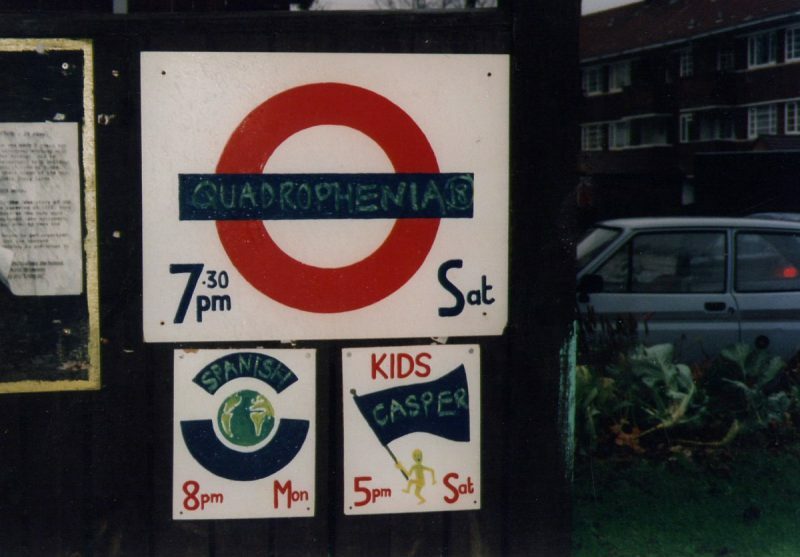 The films were always a mixture of unusual art-house films, campaigning films, or blockbusters, and it was a great way to meet up with neighbours in the most unusual cinema in Manchester. It even had red velvet curtains, and vegan ice-cream in the interval! Predictably enough after a year, the council discovered this, and it was closed down due to health and safety concerns. Although there were two exits, plenty of fire extinguishers, and always an introduction describing these before each film, it was the case that lots of health and safety laws were being breached. However, it was disappointing that the council saw no value in what the residents were doing voluntarily for themselves, and heavy-handedly brought in police to shut it, rather than helping make it legal. Residents on our estate have long been conscious of the desire to provide low-cost, organic healthy produce available locally. Around 12 years or so ago, we had a Saturday morning veg barrow, run voluntarily by local people, providing cheap organic veg. We’ve also trialled a couple of bulk-buy schemes, or informal food coops buying collectively from a wholefood distributor. Inspired by seeing neighbourhood meals on a trip abroad, a group of people in the late 90s, started weekly community meals, the People’s Kitchen, cheap and healty food originally served in the back-room of the neighbouring pub. Different cooks would take it in turn, with any extra money raised going to a good cause of their choice. These took place for over a decade and were key in reducing social isolation and bringing people together to improve their community. With the loss of the venue and a key co-ordinator, they now happen for special occasions a handful of times a year. 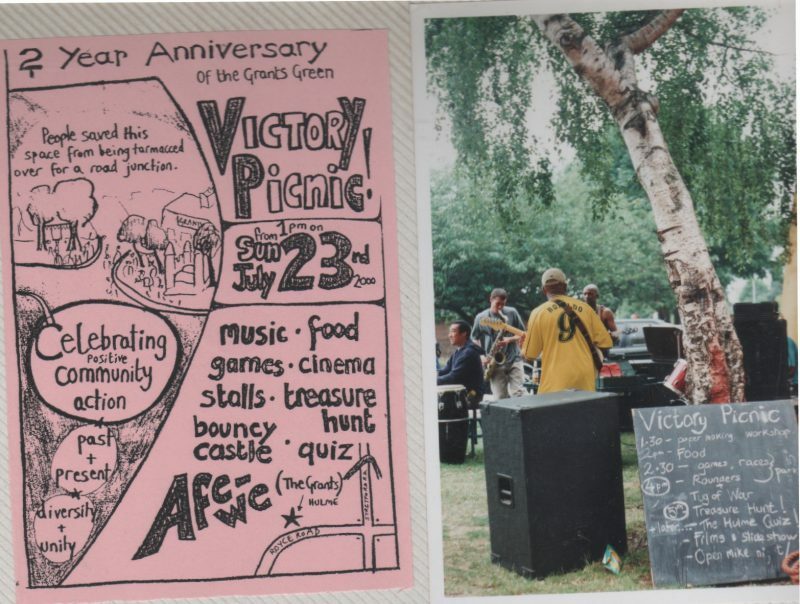 Residents have often taken the opportunity to organise large communal parties on the estate, from things like the Anti-Jubilee party, our 60th anniversary celebrations, the 10th birthday party for Leaf St community garden to celebrating the Redbricks’ 70th birthday in 2017. 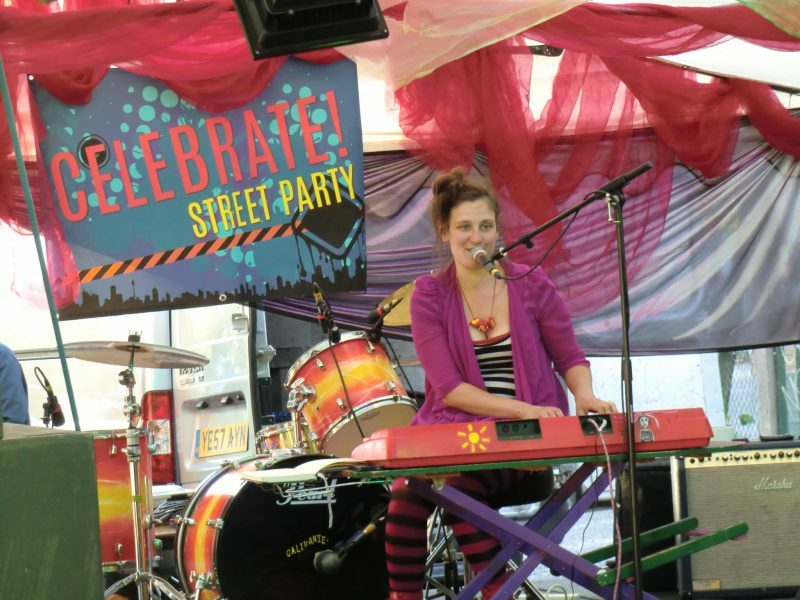 These are always occasions where local community-minded people can contribute their skills and experience – musicians, poets, circus performers have the chance to volunteer their skills, and many people contribute, either by cooking a dish to share, serving drinks, providing sound equipment or putting up marquees. Hundreds of people participate, and the only problem has been getting them to stop! 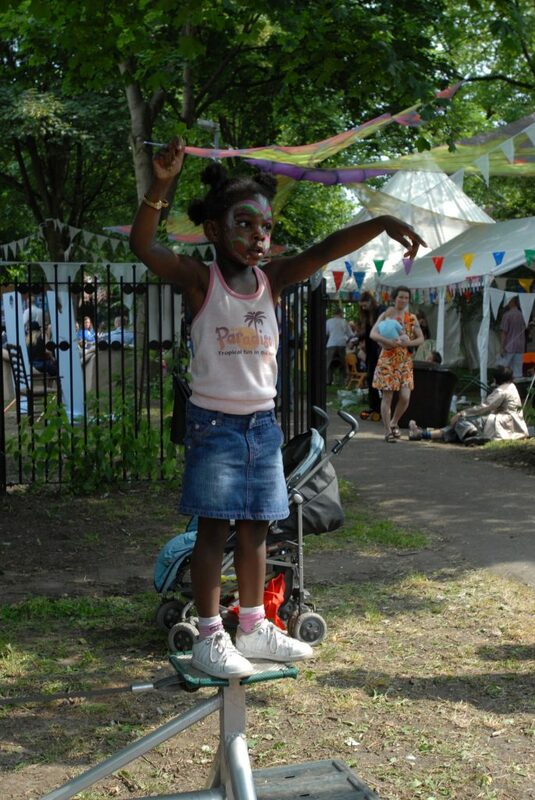 In previous years, residents have organised and performed pantomimes or Christmas plays – local versions of familiar stories, involving children and a rum cast of locals. More recently, spring events and Hallowe’en bring out a cast of characters. 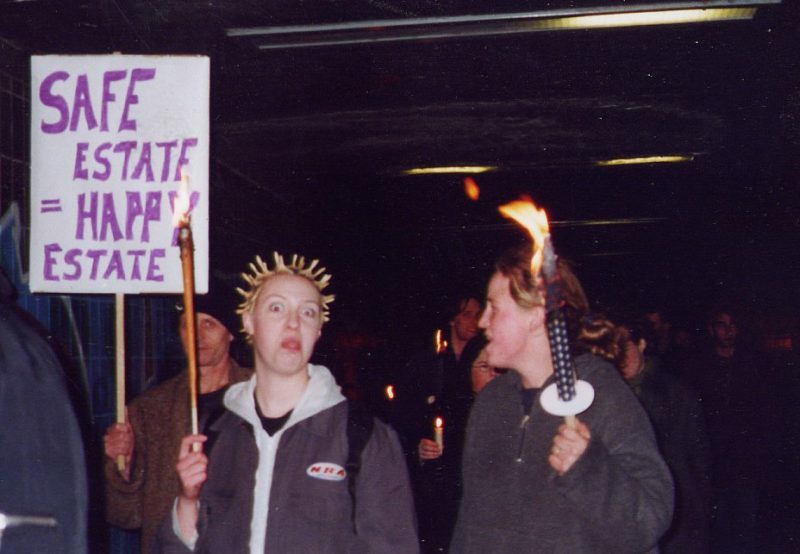 During a particularly bad spate of muggings, residents took to the streets, organising ‘Reclaim the Night’ marches, and holding all‑night vigils to make the streets safe and unappealing for muggers. Since the late 90s we’ve had a bring-and-take stall, where people can bring treasures they no longer want and take other people’s ex-gems. 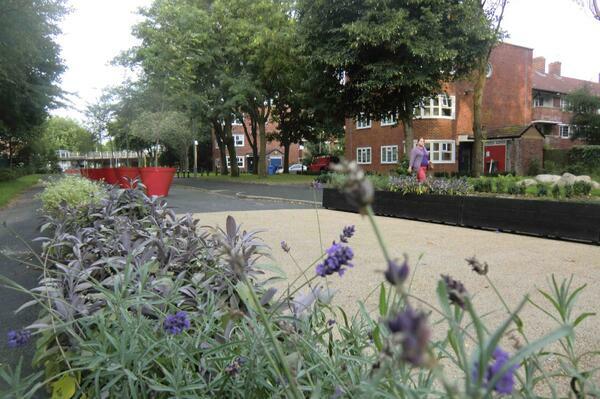 For the first years this was permanent, tidied up and organised by residents whenever needed. Since that time, it has taken place monthly in a covered area, set-up by volunteers and tidied, sorted and recycled at the end of the weekend. It has diverted tonnes of waste from landfill or incineration, and has redistributed things to those in the community who are most in need. After a residents’ survey indicated wide-spread support for greening initiatives on the estate, Greening the Redbricks was born. Working with a couple of very supportive senior staff in City South Manchester housing association, they got secure bicycle storage, landscaping of abandonned areas, better tree maintenance, (rat-proof) compost bins and water butts, disused storage areas opened to community use, bat and bird boxes, more energy-efficient lighting and green screening of the busy polluted Mancunian Way. The relationships developed enabled various improvements, including the rewire of the estate’s intranet. 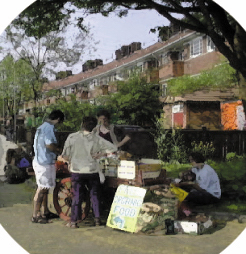 In 2010 their work led to successful fund-raising for a resident-led Community Development project, in partnership with the housing association, the Green Zone. The aims were to support existing community groups and stimulate new initiatives, breathe life into flagging levels of community activism, as well as to make improvements to the physical appearance of the estate. It employed two people part-time as Community Development co-ordinators, and was successful on many counts. New projects started such as this website, a bike maintenance club, a sewing project, and a project to transform the neighbouring Hulme Street, as it had turned into a commuter car‑park by‑day, and a dangerous-no-mans-land after-dark. Physical improvements were made such as the play area for kids in the Leaf Street community garden, various growing areas around the estate and planters. Additional activities included radio, video, website and graphic design workshops, as well as on issues of Community Development and conflict, and involving people in developing a masterplan and evaluating the project. A toolkit was produced to support other communities to learn from our successes and mistakes during the Green Zone. You can also read a case study on community-led urban regeneration, outlining lessons learned from over the years on The Redbricks, and how residents have often been able to find ways of addressing local needs themselves without recourse to unresponsive official bodies. It was written for a visiting group of Community Development workers from Poland, to help them explore the model they want to develop there (summary | full case study). 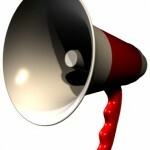 In more recent times, residents have continued to be active in many of these activities and groups. TARA continues to advocate on our behalf with the housing association and any other bodies, significant extra bike storage has been gained, bulbs and fruit trees have been planted, much gardening has been done on Leaf Street and elsewhere, community feasts have been eaten and in 2017 there was a huge array of activities and events for our anniversary, Celebrate! the Redbricks 70th.